The ownCloud app store is one of the most important aspects of ownCloud. With dozens of apps available, it brings you access to a rich variety of functionality. 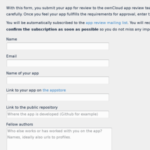 We often get questions about the ownCloud app store and recently revamped our documentation. This blog will detail how to install and enable apps. ownCloud has a modular architecture with a strong emphasis on apps. 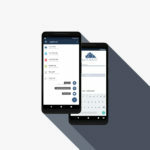 An app offers a distinct piece of functionality like a mail client or music player, but even deeply core functionality of ownCloud like sharing and external storage are implemented as apps. About a dozen apps are included in a standard ownCloud install, including Sharing, the Activity app, the Updater and External Storage Support. In the App manager you’ll also find another dozen apps marked as ‘third party‘ which represents apps that are not included in ownCloud by default but have been vetted by the ownCloud security team. Apps are added to this list constantly. 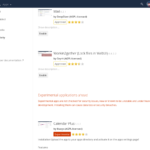 Almost all apps available for ownCloud, including those not (yet) reviewed by the ownCloud security team, can be found on apps.owncloud.com. Some of the apps there are developed in the ownCloud project, either in the apps repository or in a separate repo while others are developed independently and can be found all over github and other developer collaboration sites. 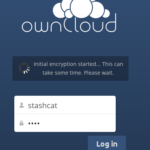 All ownCloud apps can be found on apps.owncloud.com, but only those included in ownCloud or checked by the security team can be downloaded from within the ownCloud App manager. 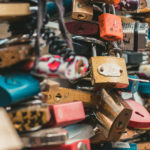 Read this earlier article for more details on the security of ownCloud apps. In the Apps page, you can enable or disable applications, as well as modify any app settings, by clicking the app name. If an app is already enabled, it appears highlighted in the list. In addition, enabled apps appear at the top of the app list in the Apps Information Field. In contrast, disabled apps appear below any enabled apps in the list and are not highlighted. Click the app that you want to enable or disable. The app is highlighted and a description of the app as well as any available settings for the app appear in the Application View window. Make your changes to the app. All app changes are applied dynamically as soon as you select the change. Clicking the Enable button will enable the app. If the app is a third party app, it will be downloaded from the online app store, installed and enabled. If you have browsed through the large selection of apps on apps.owncloud.com and want to install an app which is not available in the App manager, you can download it from the app store and install by hand. Note that this process is manual because there is a risk associated to downloading and running code from the internet, see this article about security for details. Scroll to the bottom of the Apps Information Field. 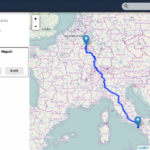 The ownCloud apps store launches. Read about any of the apps in the ownCloud app store and download any that you like. Extract a downloaded compressed file and place the contents (which should themselves be contained in a folder with the app name) in the apps folder in your ownCloud installation. Ensure the permissions and ownership are similar to the other ownCloud apps. Typically, access rights are rwxr-x— or 750 in octal notation and owner is for example wwwrun. Now the app will show up in the App manager so you can enable it and make it available for use. Find more information and details about configuring and managing ownCloud apps in the documentation. 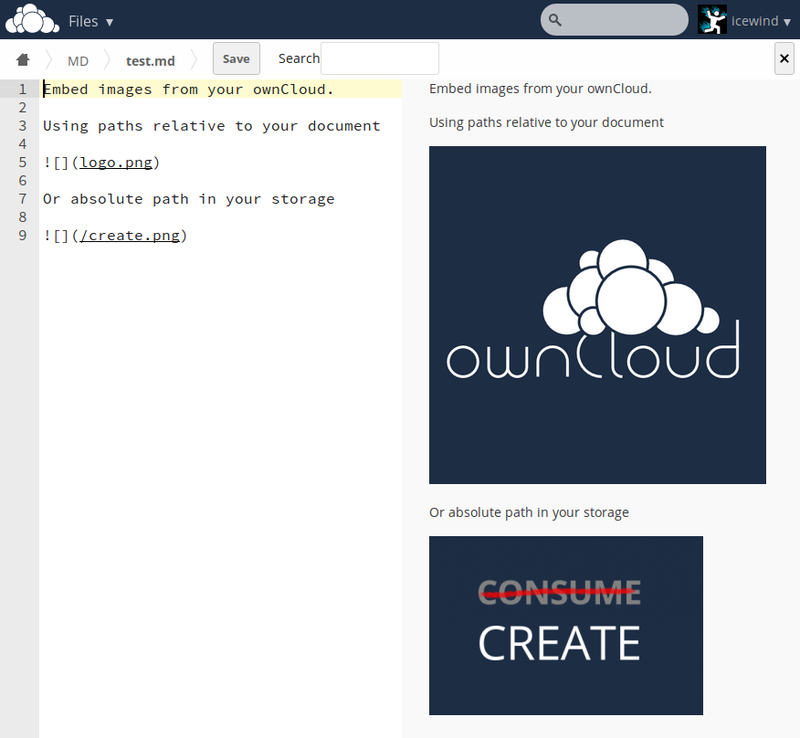 If you would like to create or add your own ownCloud app, checkout our developer documentation! When we asked on twitter what the most popular popular apps were, ownCloud Calendar and Contacts came forward, as well as the News and Notes apps. But there is far more worth exploring. We regularly highlight interesting developments and updates to apps in our development updates so be sure to follow those on owncloud.org/news. Enjoy the wide variety of ownCloud apps and let us know what your favorites are in the comments section below! Unfortunately, most of the apps are not working or triggered unexpected behavior of OC. Tried last days a few apps with my fresh installed and good running ownCloud 7.0.4 (stable). dont know what exactly happend (to many errors at that day), but it didnt work. After that install, OC didnt start, white screen. No way to do something with the cloud. Deleting of both folders, everything was ok.
did not work. You can hit the Enable-Button as often as you like, did not work. by downloading the sources and install them manually. broser-restart, somewhen it looked normal again. my way to install new apps was the right way. or the apps without check them on a exact mirror of the running installation. Very disappointing. Nevertheless I hope the best an will try it in a few weeks again. That the admin is able to reset the user-passwords to a password of his own is a no-go. and when crypt is disabled he can see al data. I dont want to see the users data, even with the BND/NSA in my neck! I agree with Mätes. The blog article shows two bad examples of apps. Outdated, unmaintained? („This app is looking for a maintainer“), and w/o Markdown support. With a few exceptions the App Store is a collection of outdated and partially senseless or bogus apps and not worth to mention. On the technical side, the API of ownCloud has become a lot more stable, but many apps use internal and undocumented API’s which DO break on new versions. ownCloud 8 will hopefully deal better with that, it introduces dependency management and of course improvements to the API’s to keep apps working across more ownCloud releases. While nobody can prevent an app author to stop updating/maintaining his/her app, introducing bugs in new versions or using the wrong API’s*, we’re working hard to make the experience of apps better in ownCloud. Of course, in all cases – read the README files before installing an app – that would have saved the trouble with the News app, for example. 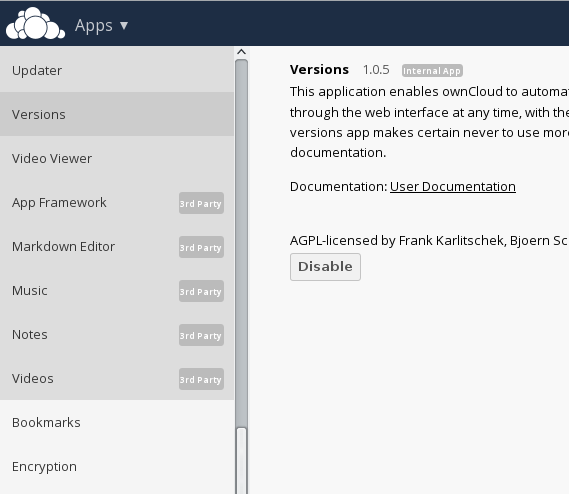 The dependency management and API improvements coming in ownCloud 8 will make the News app installation process a bit easier. – apps can define a min and a max OC version they are compatible with. Why not having a filter for that? If I run OC8, I’m usually not interested in apps with maxVer OC7 or below, so I wish I could simply “filter them out”. I might still wish to see them (e.g. to “adopt” a promising candidate) – but then it’s up to me to enable/disable/change the filter criteria. – several apps have neither description nor screenshots, so one can only guess what they’re doing (or find out by installing them). Why not have a filter to “only show apps with”, having the options of “screenshots”, “description”, “both”, “nevermind”? – some apps have been abandoned, yes. Another filter could suppress them by date, e.g. “only show apps updated within the last…”, and again useful options like “1/3/6/12 month” (and the obligatory “nevermind”). We’re working on revamping the app store and ownCloud 8.1 will have mechanisms in place to let users do far more with the built in app store. Putting min and max version is good idea. The challenge is app developers who are careless and orphan their will be equally careless in providing this info. Thus, unless developers become disciplines, not sure how much of this will help. A version control is also a good filter. Keepass and Thunderbird tells the user which additions will not work with a new version of the project. his could be a default situation. The compatibility should then be tested by the developer of the app. In this way abandoned apps will starve.